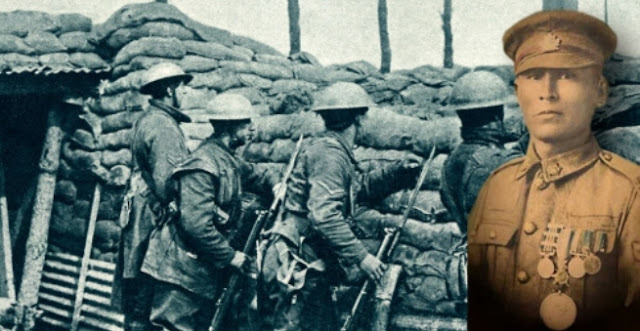 In the bloodshed and chaos that is the battlefields of the First World War, hundreds of thousands of young Canadian men sign up to fight for their country overseas — but there's one who sticks out from the crowd. His bravery and fearlessness are legendary. His fellow soldiers call him Peggy. Francis Pegahmagabow was born in 1889 on the Parry Island Indian Reserve (now the Wasauksing First Nation), an Ojibwa community near Parry Sound, Ontario. When he is three, his father dies and his mother returns to her home in the Henvey Inlet First Nation. In the care of elder Noah Nebimanyquod — who had also raised Pegahmagabow's own orphaned father — young Francis spends his childhood steeped in the customs of the Anishnaabe. Nebimanyquod teaches him to fish and hunt, while his foster mother educates him about traditional medicine. He grows up practicing both traditional Anishnaabe spirituality and Roman Catholicism. Pegahmagabow leaves school at the age of 12 and begins working at lumber camps and fishing stations, eventually working as a marine fireman. When he's 25, war is declared in Europe. He enlists in the Canadian Expeditionary Force on August 13, 1914. Pegahmagabow is assigned to two of the war's deadliest jobs: working as a scout, running messages from headquarters to the front lines, and as a sniper. After spending so much of his youth hunting, Pegahmagabow turns out to be a uniquely skilled sniper. He sneaks into No Man's Land under darkness, buries himself in cover and waits patiently until a German helmet fills his scope. It's this mix of patience and unerring aim that makes him the deadliest sniper on either side of the war, with 378 confirmed kills. He'll also survive the first chlorine gas attack at the Second Battle of Ypres — although the gas exposure causes irreparable damage to his lungs — and fights at the Somme, Passchendaele and Amiens. 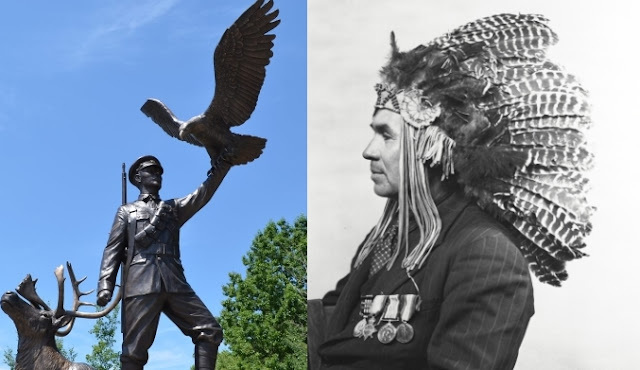 By the time he is discharged in 1919, Pegahmagabow is the most decorated First Nations soldier in Canadian history. He is awarded the Military Medal in 1916 and earns two bars, becoming one of just 37 Canadians to win the Military Medal with two bars. He is also awarded the 1914-15 Star, the British War Medal and the Victory Medal. In 1921, Pegahmagabow begins to advocate for change, first as a leader of his people. He's elected chief of what is today the Wasauksing First Nation and has frequent clashes with the area's Indian Agent, John Daly. He and his fellow band councillors embark on a letter-writing campaign seeking to increase the power of elected band leaders, but Ottawa insists they communicate only through Daly. In 1945, Pegahmagabow is elected Supreme Chief of the Native Independent Government, an early Indigenous Civil Rights organization, and a precursor to the Assembly of First Nations. By the 1950s, Pegahmagabow's war injuries are catching up to him. His lungs are so weakened from gas exposure that he sleeps sitting upright to keep them from filling with fluid. He dies of a heart attack in 1952. 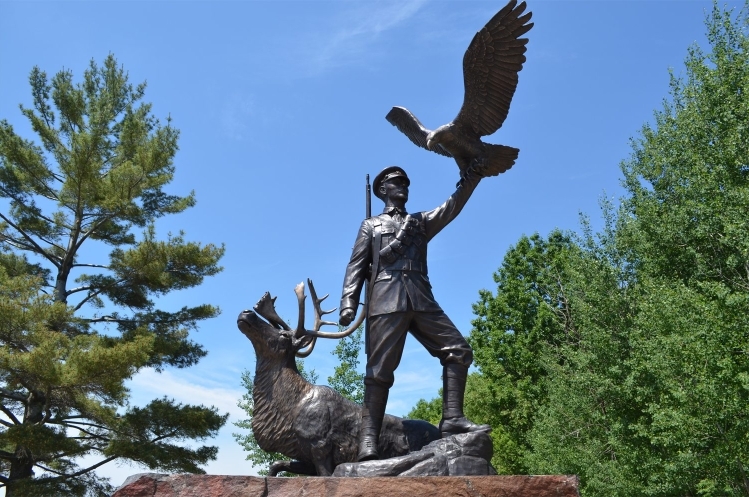 Pegahmagabow's legacy lives on as an example of a life of service and determination, renowned for both his bravery as a soldier in the First World War and his ceaseless struggle for his people's rights. Responses to "The deadliest sniper of WWI was Francis Pegahmagabow, an Ojibwa soldier"